US based Smartphone manufacturer Blu has launched a new smartphone in the US market, the Blu Vivo X. The smartphone now started its sale on the Amazon website. The main highlight of this mobile is its quad cameras, an octa-core processor, an 18:9 display, and a budget price point. As per the US Amazon website, the handset will be priced for $299.99 (approximately Rs. 19,500). However, as per the launch offer, it is currently available a discounted price of $249.99. 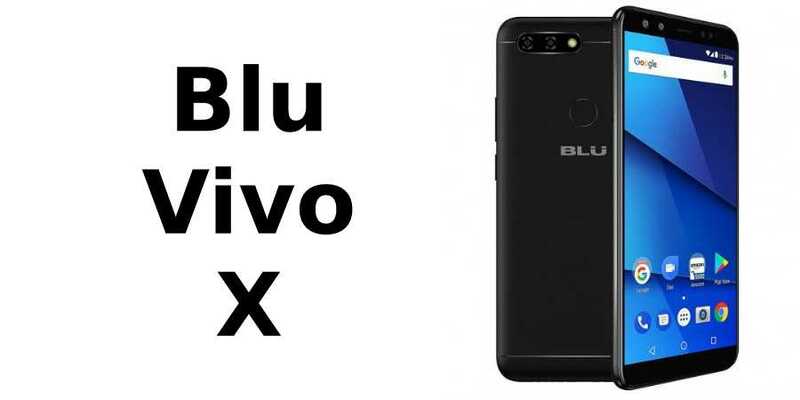 The Blu Vivo X will be available only in one colour variant – Midnight Black. The Blu Vivo X features a 6.0-inch Incell HD+ display with a resolution of 720×1440 pixels and with curved Incell glass and Corning Gorilla Glass 3 protection. The handset comes with dual-SIM support and runs Android Nougat 7.0. The smartphone is powered by a 64-bit 2.6GHz octa-core MediaTek Helio P25 SoC processor with 4GB RAM. In case of memory, the smartphone comes with a 64GB internal storage and which can be further expanded up to 64GB via a microSD card. Coming to the camera option, which is the most highlighted thing of the smartphone, in which, the Blu Vivo X comes with a quad cameras setup. On the rear end, the smartphone features a 13-megapixel camera with phase detection and also have a 5-megapixel depth-sensing camera. On the front side, the smartphone features a 20-megapixel IMX376 sensor camera with f/2.0 aperture along with an 8-megapixel wide-angle lens which makes the Blu Vivo X has a “Super Selfie configuration”. Along with these features, the Blu Vivo X’s Panorama Selfie gives the camera has the ability to shoot in 120-degrees. A Group Selfie mode and an option to select a soft or bright front-facing flash is also available. In terms of connectivity options the handset comes with 4G LTE, Wi-Fi 802.11, GPS, Bluetooth v4.0, and Hotspot. The Blu Vivo X is packed with a non-removable 4010mAh battery that is capable of fast charging in under two hours.